What is IoT, and how can it benefit industrial equipment? 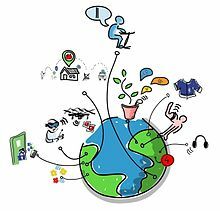 The Internet of Things (IoT) is the inter-networking of physical devices, vehicles (also referred to as ‘connected devices’ and ‘smart devices’), buildings, and other items embedded with electronics, software, sensors, actuators, and network connectivity which enable these objects to collect and exchange data. Experts estimate that the IoT will consist of about 30 billion objects by 2020, up from approximately 5-6 billion now. That is an enormous increase, just on the horizon. IoT is a technological wave of innovation and disruption that is sweeping the globe and is enabled by the rise of low cost sensors and innovative new networks such as LoRa, Sigfox and Wi-Fi. Connecting ‘things’ to the analytical power of supercomputers in the ‘Cloud’ such as IBM Bluemix, Amazon Web Services and Microsoft Azure is opening up whole new insights into how machines can bring value to their owners and operators. Innovative manufacturers worldwide are wondering how to tackle IoT, and taking steps to prepare for the changing expectations of their customers. The path to IoT consciousness is largely unpaved with many industry experts calling it the new ‘Wild West’. Many manufacturers are looking to IoT to bring improvements in prescriptive maintenance as the connected workplace brings new ways monitor machinery and to manage downtime. No longer do waste companies need to travel to site to check whether a bin needs emptying, no longer do maintenance engineers need to remove covers to see if cables are connected or batteries are charged. No longer do maintenance personnel have to work through 70’s style blinking LED lights to determine faults, they can have them delivered in near real time in plain language. Knowing where your assets are located is something that can be done from a computer screen, not a windscreen. Start selling solutions to real world problems that your customers care about. Find their top problems, validate these ‘use cases’ … then prove it using your solution. IoT is an interesting space, but as it is still somewhat embryonic, there will be lots of moments of development as it takes its beginner steps into the economic cut and thrust of real world use cases. Early adopters stand to win big, but only if they start with the customer’s need in hand.